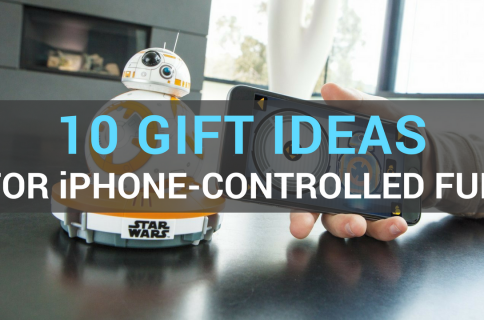 Today’s entry in our 2017 Holiday Gift Guide focuses on gift ideas for iPhone-controlled fun. This is actually a pretty broad category (toys, smart home accessories, etc. 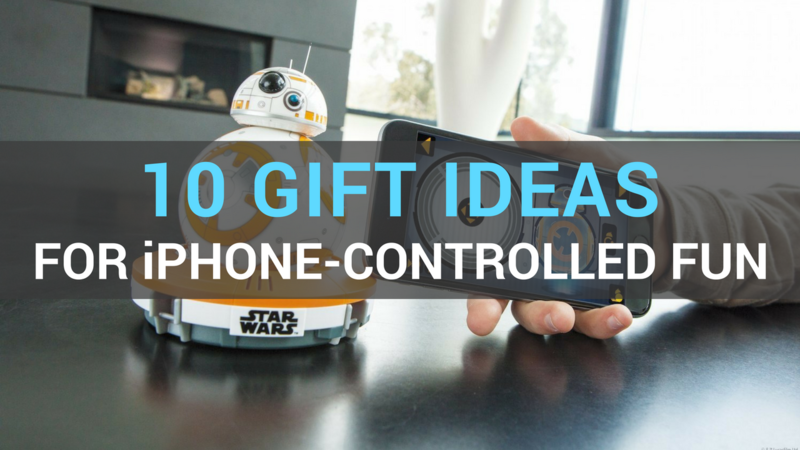 ), so we narrowed it down to 10 of our favorite products that can be remotely controlled using Apple’s popular handset. The Robotic Enhanced Vehicles (or R.E.V) from WowWee are everything you’d want in an iPhone-controlled toy. They’re easy to setup and control, durable, and very fast. Plus they’re super smart. The set includes two cars, which you can play with in single player mode—human vs A.I. opponent—or multiplayer mode. Up to 16 players can enter a game and there are various game types like team battle and free-for-all. Guaranteed fun on Christmas morning. I know, I know. 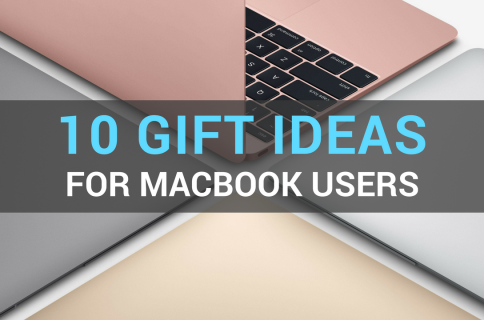 It seems like I have been putting the Spark on every gift guide this year (I have). But that’s because I’m such a fan of the product. 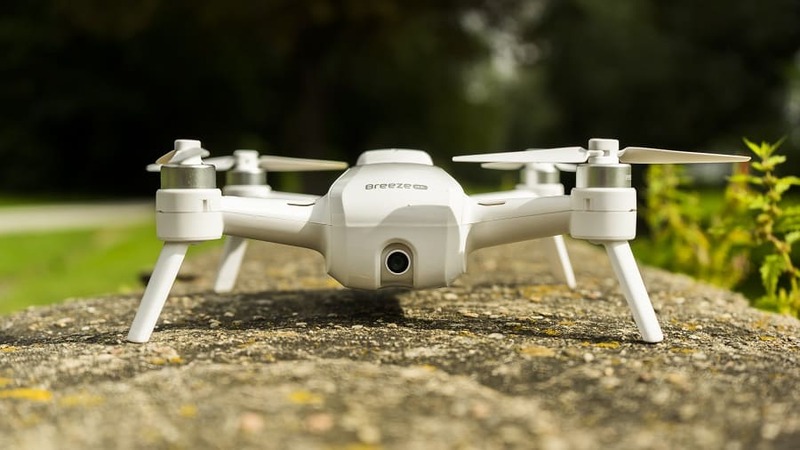 It’s small enough to fit in your coat pocket, smart enough to not crash into things, and very easy to fly. You can control it using your iPhone, hand gestures, or you can just have it auto-follow you around. Plus, it takes gorgeous photos and videos. Want to be a hero for the holidays? Get a Spark. For a less expensive iPhone-controlled drone option, I recommend the Yuneec Breeze. Keep in mind that you really get what you pay for here, so it’s not going to fly as far or as fast as the Spark, or be nearly as durable. But for the price, I’ve found the Breeze to be a solid drone. 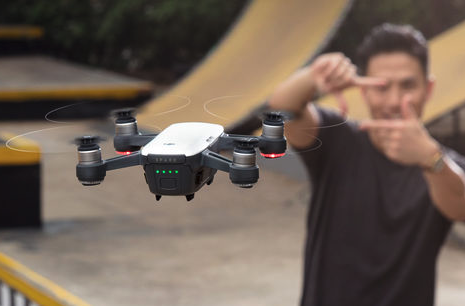 It takes 4K video (only HD is stabilized though), has advanced features like GPS return-t0-home and object-tracking, and it’s really easy to fly. If you get it while it’s on sale, it’s totally worth it. 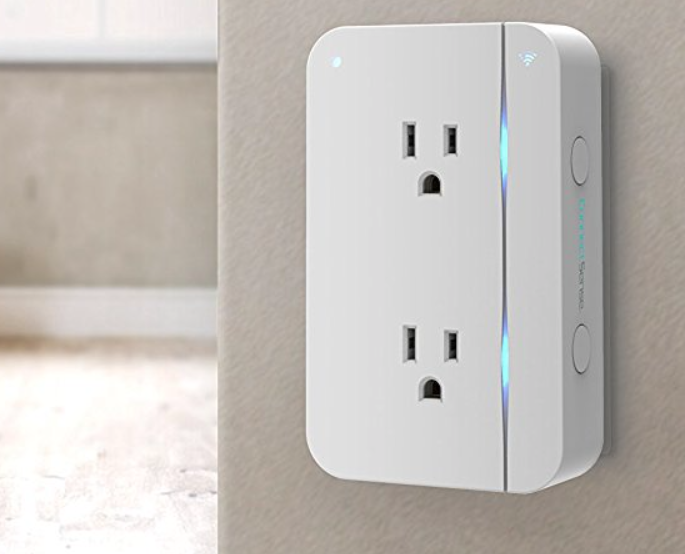 If you’re looking for something a little more productive than a toy, check out the ConnectSense Smart Outlet. 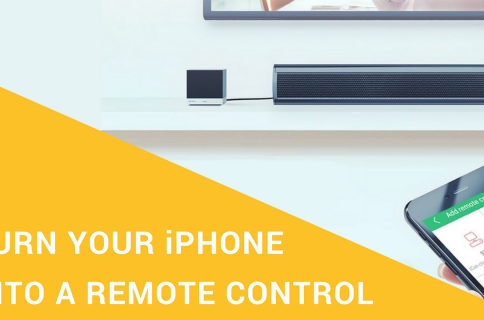 Because it supports Apple’s HomeKit platform, you can control it with both your iPhone and Siri voice commands. It has two Wi-Fi connect sockets that can be monitored and controlled individually, and it features end-to-end encryption, rapid charging support and built-in LED lights. 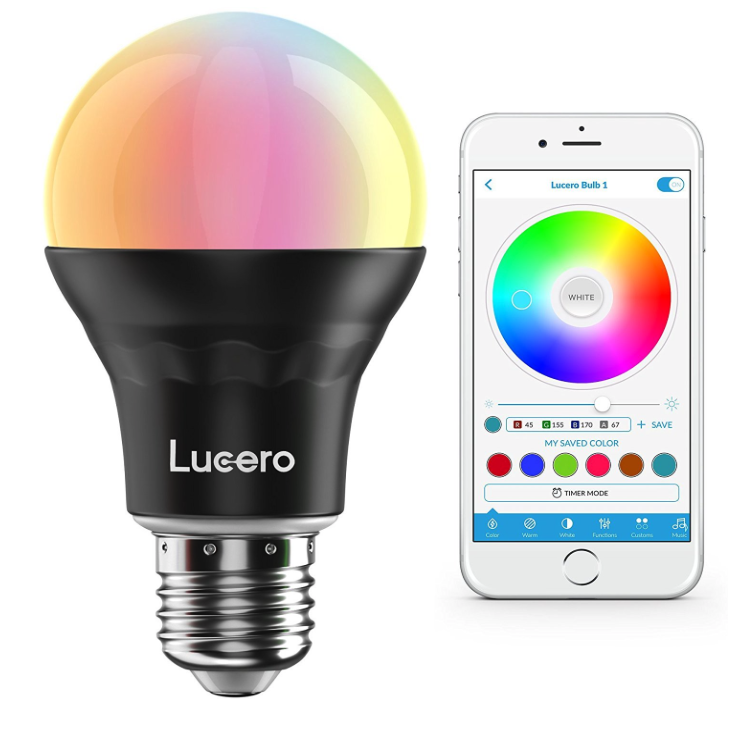 In a similar vein, I also like this smart LED light bulb from Lucero. It does so much more than just allow you to turn your light off and on using your phone. You can customize the color with over 16 million combinations, choose from different “atmosphere” settings like romantic or relaxing, sync the light to the beat of your music, or even program it to gently wake you up. Talk about an awesome gift! Gifts can be fun and educational. Meet Cozmo, the loyal sidekick who also happens to be a programmable super computer. He recognizes your name, face and quirks, and can express hundreds of emotions. 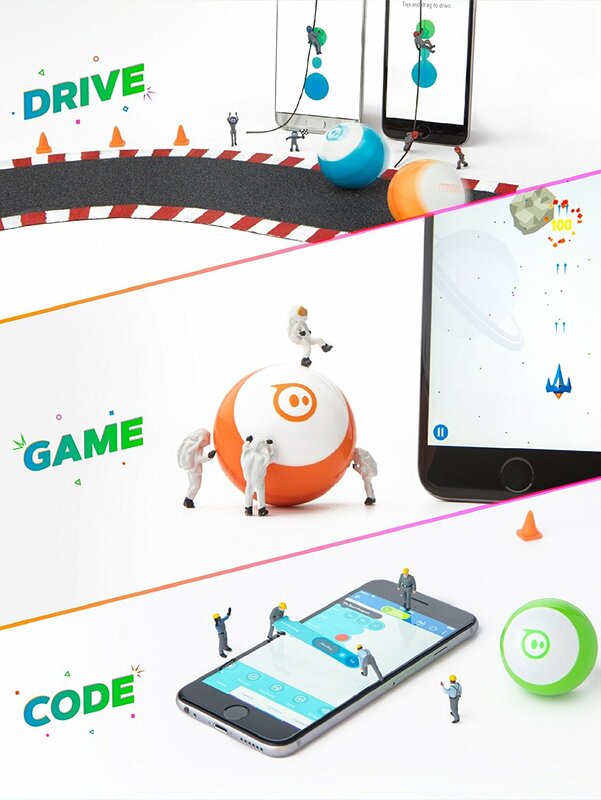 The best part, though, is that he is equipped with Code Lab, so you can learn how to code as you teach him new tricks. 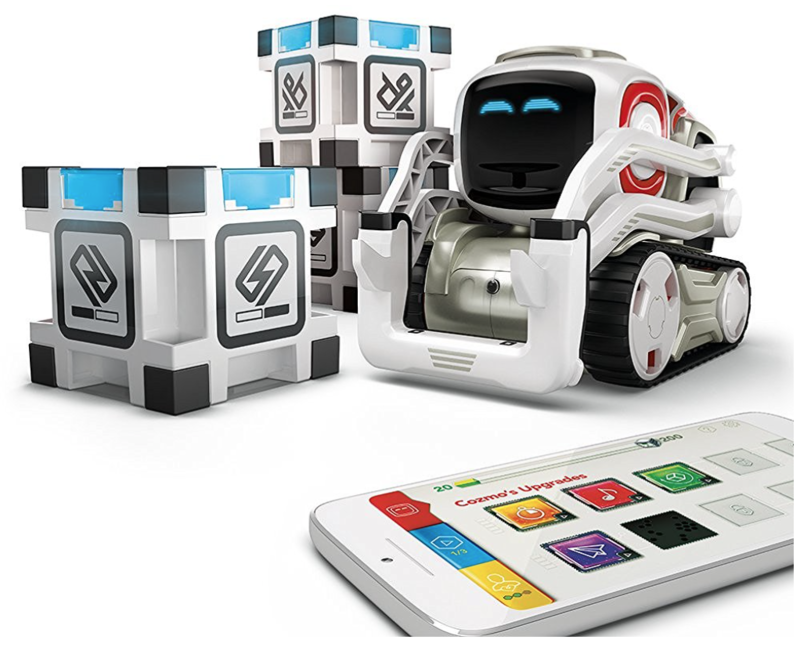 Obviously Cozmo is aimed at kids, but I think it would make a great gift for anyone. Along similar lines, I also like the Cue from Wonder Workshop. Powered by breakthrough Emotive AI, Cue is a witty robot with attitude. 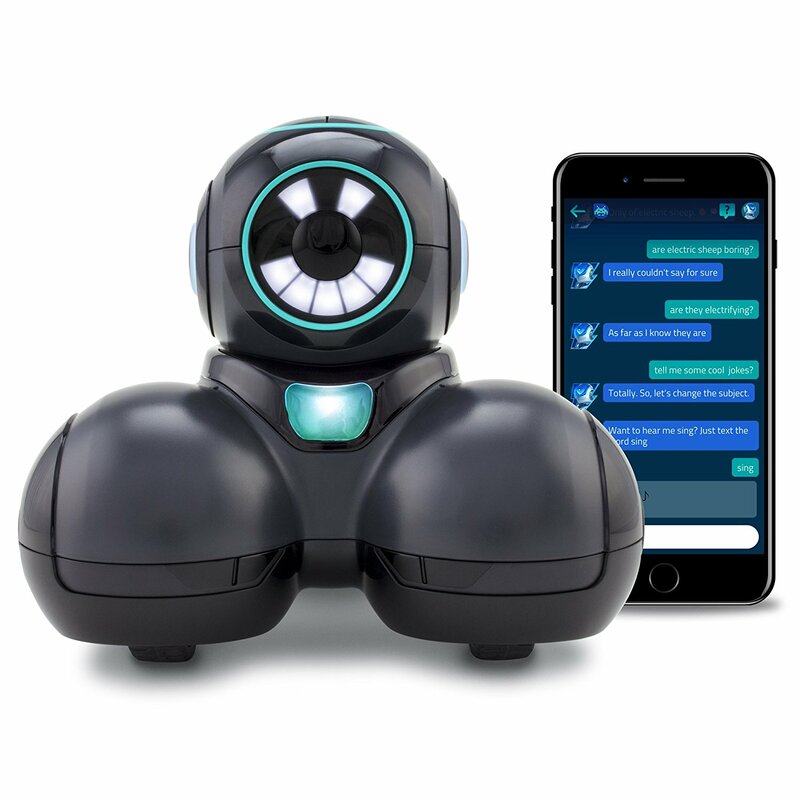 He can send and received text messages to share witty comments, memes and funny jokes, navigate tight corners or obstacles, and of course you can program him to engage his proximity sensors, encoders, gyro, accelerometer, microphones and more. This is CHiP. 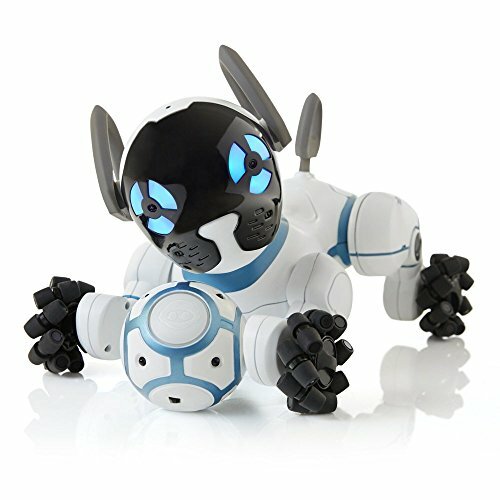 He’s a smart, affectionate, trainable robot dog. He responds to you through touch, the included SmartBand, and the CHiP app for iOS and Android devices. Equipped with several advanced sensors and an adaptive personality, his character changes and grows over time depending on how you interact with him. And when he gets low on power, he automatically returns to his smart bed for charging. Despite debuting all the way back in 2013, Anki’s Overdrive platform continues to be a force in the iPhone-controlled category, so it has once again made our best gifts list. More specifically we like the Overdrive Starter kit, which includes 10 track pieces, so you can build your own course, and two vehicles. The cars can be controlled via AI or mobile devices, and of course you can add more pieces at any time.